Kim Smith Barnett is the director of the Boston office. She has over 17 years of experience as a historic preservation professional. 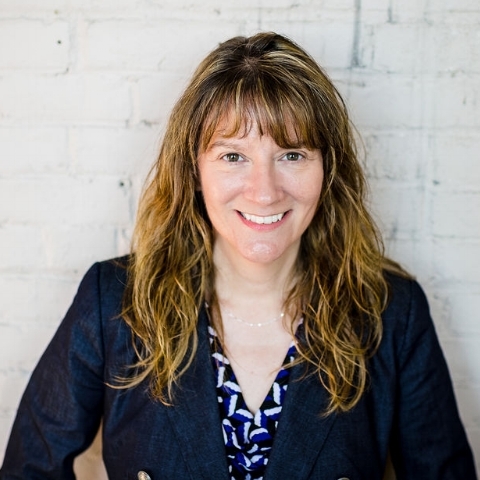 Her experience includes developing blighted historic properties, acting as historic tax credit consultant for non- and for-profit developers, and also acting as lender and equity partner in historic property developments. Kim specializes in historic tax credit consulting, historic real estate development finance, and non-profit finance. Her projects have won awards from Providence Preservation Society, Rhode Island Historical Preservation & Heritage Commission and Preserve Rhode Island. Throughout Kim’s professional career, she worked in Providence, RI’s low-mod income historic districts. While at the West Broadway Neighborhood Association in 2001-2002, she created a ten-year Action Plan for neighborhood revitalization in the Armory Historic District. She also expanded the Broadway-Armory Local Historic District by adding over 500 properties to the existing district. From 2002-2018, Kim was at Providence Revolving Fund (PRF) which acted as developer, lender and historic tax credit consultant to over 500 properties primarily located in a two square mile radius. During her long career there, she worked on over 150 State and Federal historic tax credit applications. She became Associate Director in 2009 and specialized in historic real estate finance, rehabilitating vacant and abandoned historic properties, and acting as sales broker for the organization. Kim also was responsible for PRF’s $12.8 million capital pool, performing loan originations, underwriting, closing loans and servicing PRF’s loan portfolio. Kim uses her skills in real estate finance and non-profit finance in several volunteer roles. She is very active in Rhode Island community development, serving as treasurer for Pawtucket Central Falls Development Co. (formerly Realty Endeavors for Central Falls) since 2009, and as treasurer for the Housing Network of Rhode Island from 2014-2018. She served as Providence Preservation Society Trustee from 2012 to 2018, and sat on the West Broadway Neighborhood Association Community Development Committee from 2013 to 2018. Kim holds a Bachelor of Science degree in Historic Preservation and Conservation from Roger Williams University in Bristol, RI and a Bachelor of Arts degree in Psychology & Philosophy from Rhode Island College, Providence, RI.